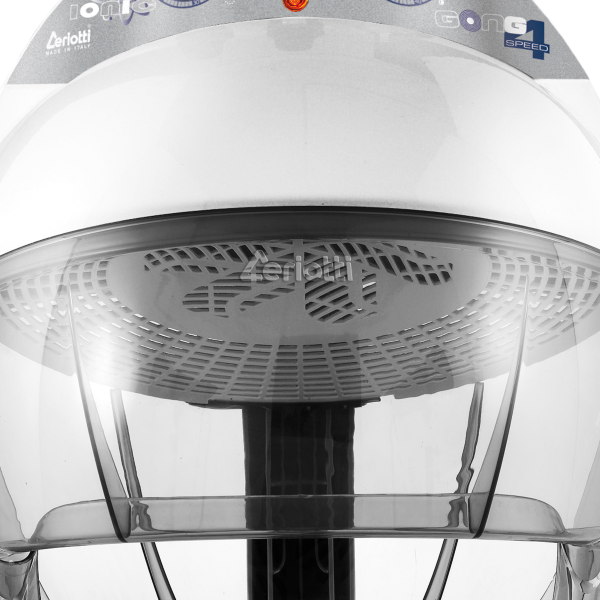 GONG IONIC is a revolutionary drying system equipped with an ionizator. 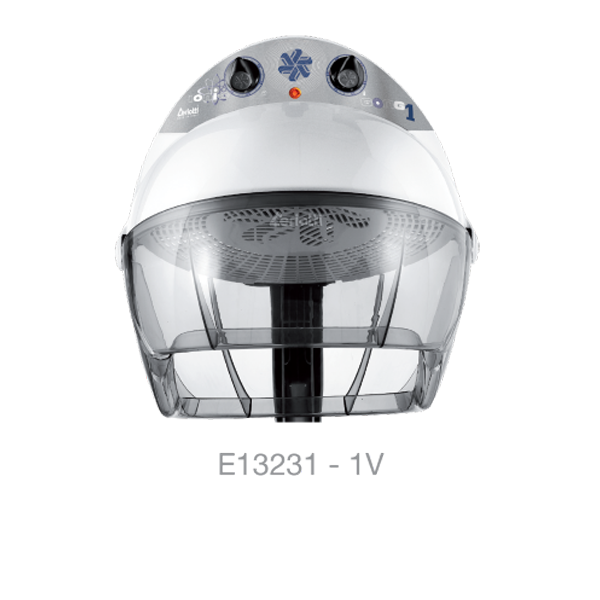 Unique in its genre, it joins futurist concepts of functionality and style for stunning results, halving drying times and curing hair. 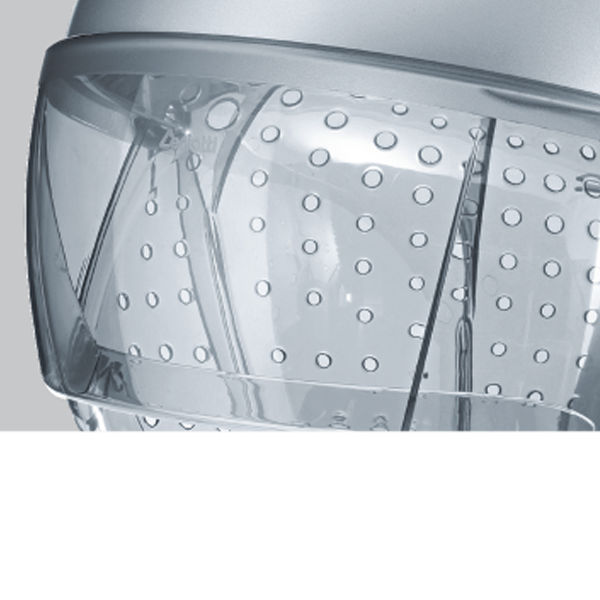 Innovative visor with variable regulation with friction adjustable by means of a coin. 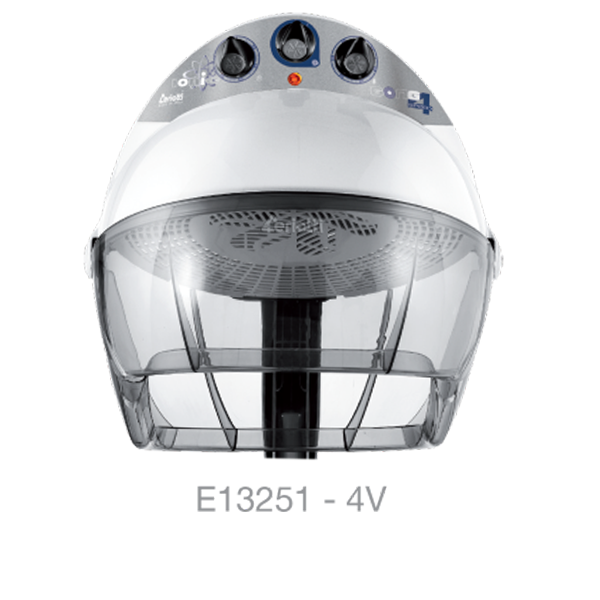 The only one with a higher power than standard hairdryers, but with a delicacy on fragile hair, beyond any imagination. Ionic 1 Speed Gong – Automatic with temporizer, thermostate, functioning and temperature control led. 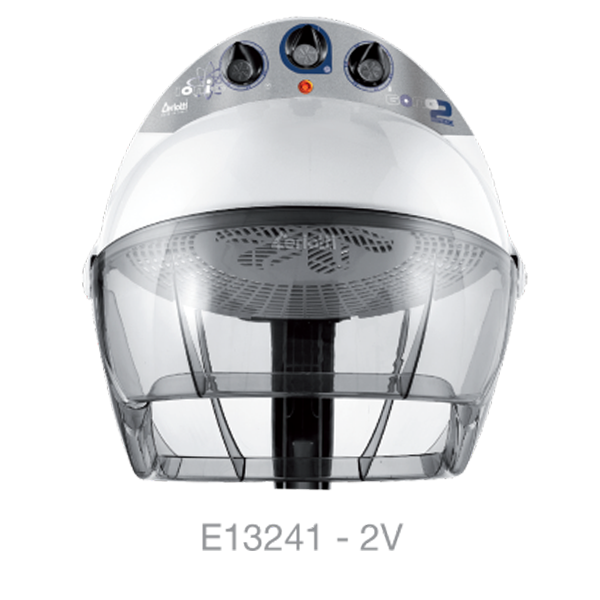 Ionic 2 Speeds Gong: with temporizer, thermostat, temperature control led and 2 ventilation speeds to execute at the best technical drying and hairstyling works. Ionic 4 Speeds Gong turbo con temporizer, regulation thermostat and control led. 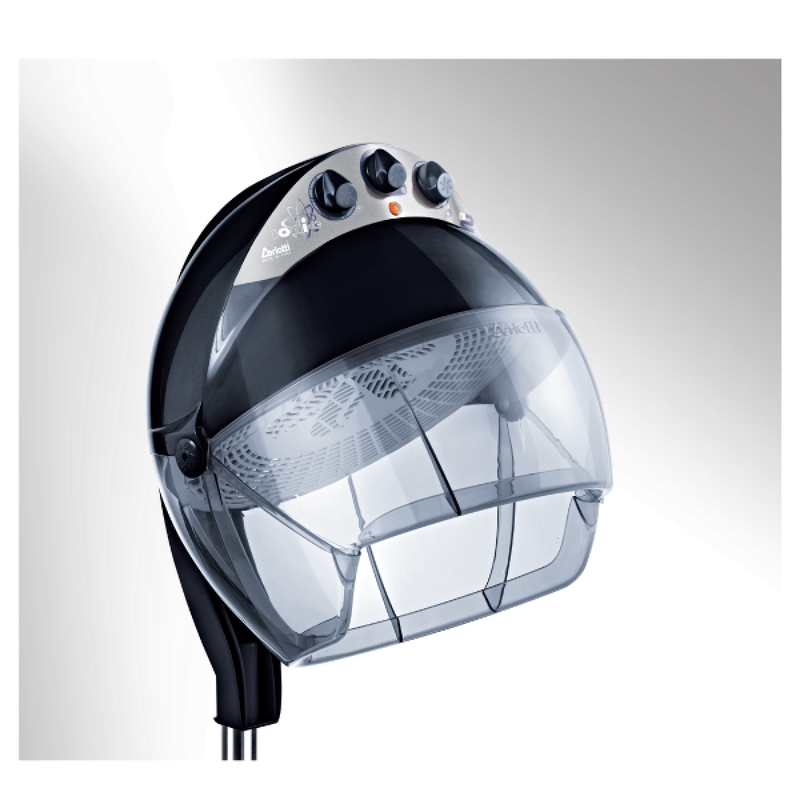 4 speeds engine starting from 600 rounds per minute:1st Speed: Technical work of hairstyling and free drying even without hair-net. 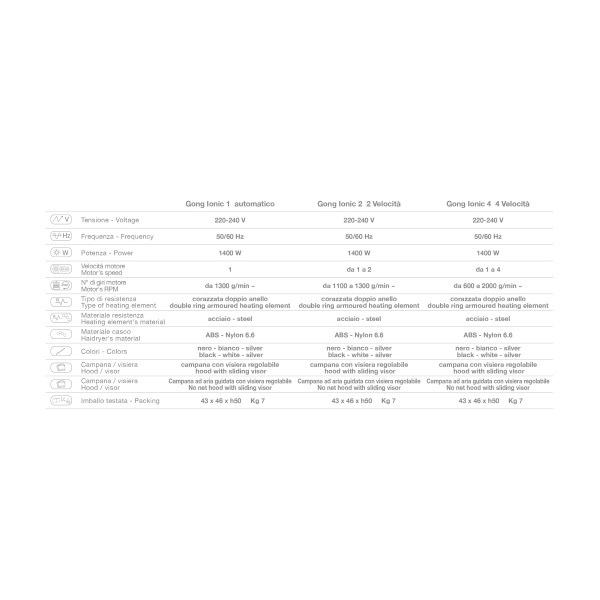 – 2nd Speed: Technical work of haistyling and common drying – 3rd Speed: Quick drying – 4th Speed: Ultrafast drying, allowed by the big airflow distributed in an uniform way. Upon request hood with guided shower-jet airflow, in order not waste hair’s arrangement.